Make sure you see the “Spirit of 1776” wagon in 2020! on Vimeo. 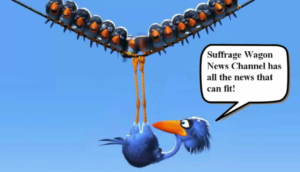 This program at Suffrage Wagon Cafe is a reminder to plan to see the “Spirit of 1776” suffrage wagon on exhibit at the New York State Museum in Albany, New York during 2020, the 100th anniversary of women voting in the United States. You’re hearing this with plenty of time to plan to travel and experience the wide range of events and special programs during 2020. New York State really outdid itself during the 2017 suffrage centennial to observe and celebrate how New York women won the vote in 1917. Edna Kearns was involved and the story of her activism is representative of thousands of activists who hit the ground running. 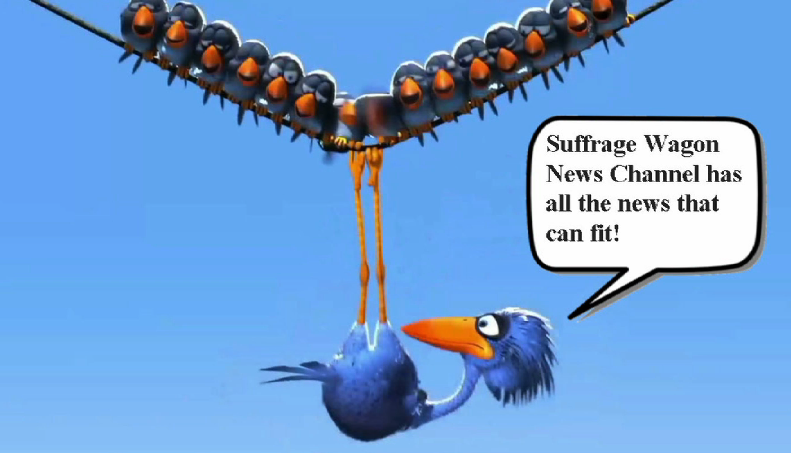 Suffrage Wagon News Channel has been publishing since 2009. 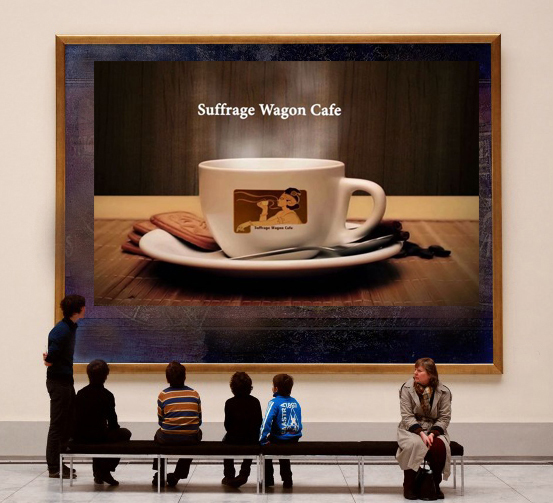 Visit the Suffrage Wagon Cafe for special events. 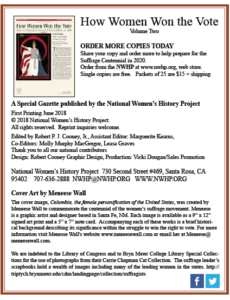 Put the National Women’s History Project’s Gazette on your “to do” list for advertising in 2019 as preparation for the 2020 votes for women centennial—to celebrate the 19th Amendment to the US Constitution. 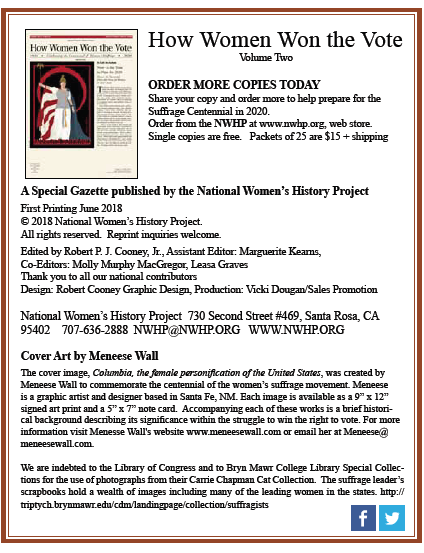 The Gazette is published by the National Women’s History Project. Marguerite Kearns is the host of Suffrage Wagon Cafe. Do you know about the Turning Point Suffragist Memorial where the planning is underway to open in August of 2020? Your donation will make all the difference. Last week the proposed statue project in Central Park of New York City moved ahead with the announcement of the sculptor, a turning point, according to statue supporters, who believe the statue, when unveiled in 2020, will break the “bronze ceiling” in the city park.